In 1987, Houstonian Jon Schwartz created a documentary film, This is Our Home, It Is Not For Sale, that traced the history of Houston’s Riverside neighborhood from land grant to inner city neighborhood, and Special Collections holds a collection of records that covers the full scope of the production of the documentary film. The finding aid for the This is Our Home, It is Not For Sale Film Collection is now available in Archon. The finding aid describes the materials in the collection, which cover fundraising activities, releases and contracts, insurance, research materials, production notes and logs, film screenings and festivals, photographs, and posters. The documentary tells tells the story of Riverside through interviews, photos, and home movies. Informally known as the Jewish River Oaks, Riverside became an idyllic neighborhood close to downtown. It was an all-white neighborhood until 1952 when the first black family moved in, and white flight followed. Real estate agents working house-to-house encouraged owners to sell, but many residents resisted the inclination to move and posted yard signs stating “This is Our Home, It’s Not for Sale.” Transformation became inevitable for a constellation of reasons. Intrusions into the neighborhood included Highway 288 and the Harris County Psychiatric Center. By the conclusion of the time period covered in the film (mid-1980s), Riverside was a multi-ethnic neighborhood, combining characteristics of a peaceful wooded residential area with the conflicts of an integrated urban neighborhood. The materials in this collection, along with a copy of the film, can be viewed in the Special Collections Reading Room. Not only is today the first day of the semester here at the University of Houston, it is also the first day for Special Collections’ two new archives fellows, Alison Clemens and Ryder Khouba. Alison will hold split her time here, spending six months processing collections related to Houston and Texas History and six months processing collections related to Houston Hip Hop. She is a recent graduate of the University of Texas’ iSchool, where she specialized in Archives & Special Collections. Alison’s previous experience includes positions at the Dolph Briscoe Center for American History and the Scarborough-Phillips Library. Ryder will spend his year working with University Archives. Ryder is also a recent graduate of UT’s iSchool with a concentration in archival science. His previous experience includes working with a variety of collections at the Wisconsin Historical Society, the Austin History Center, and the Dolph Briscoe Center. Alison and Ryder will both assist patrons in our Reading Room, so if you see them be sure to welcome them to the University of Houston! 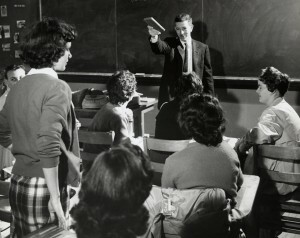 Fall classes at the University of Houston start next week, and before long the semester will be in full swing! Special Collections will continue our summer hours through Sept. 7. On Sept. 8, we’ll start our semester hours, which means we’ll be open from noon to 4 p.m. most Saturdays. If you plan to visit the Reading Room and aren’t sure when we’re open, you can always check out our hours. Here in Special Collections we have a number of tools to help with your classwork or research. We collect, preserve, and make available archives, rare books, and other great culturally and historically significant materials, so if you need to use primary sources, be sure to check us out. 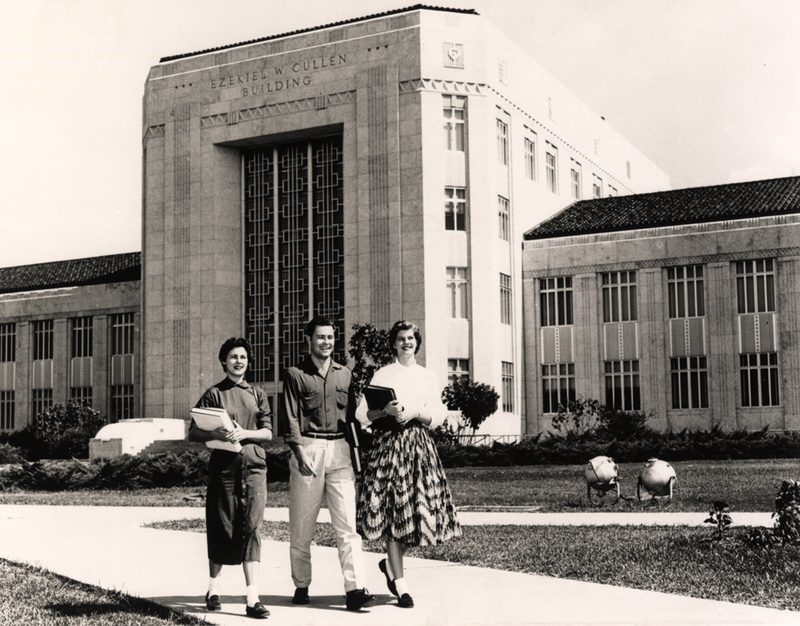 In addition to holding the University Archives, we also have materials related to Texas and Houston history, contemporary literature, architecture and planning, Hispanic collections, performing arts, Houston hip hop, and military history. Our Women’s Archive & Research Collection contains the records of women’s organizations and the papers of prominent Texas women. These materials document the range of women’s concerns, the ways in which women have come together to achieve their goals, and the impact they have had on the world around them. We also have a large collection of rare books. Special Collections materials have also been digitized and can be found in the UH Digital Library. And if you need images for presentations, be sure to check out the Image Café. Finally, if you find yourself in the M.D. Anderson Library on campus, be sure to check out our exhibits. Right now, you can see the DJ Screw and the Rise of Houston Hip Hop and Samplified Studios Mini-Exhibit, and later in the fall we’ll have an exhibit on music in medieval manuscripts.